If you visit Rocky Ford this time of year, you would notice a lot of activity from sunup to sundown. It’s a busy time of year, and about to get busier. The beautiful Rocky Ford Cantaloupe, Watermelon and Honeydew that we planted in late April and early May are growing like crazy, and we’re crossing our fingers for clear, hot weather and no hailstorms. Soon, we’ll be walking our fields daily, looking for the ripest, freshest Hirakata Farms melons to pick and send to market– often going from field to market within 12 hours. We’re also building a new watermelon packing shed to help process those melons as quickly as possible. We couldn’t do all this work without the (literal) help and support of our families, who are often the ones driving tractors, fixing irrigation, keeping the books, and doing a million other things that need to be done to make melon season happen. We couldn’t do it without our wonderful and hardworking employees, who show up ready to work hard every single day. And we couldn’t do it without you, the people who love to eat Hirakata Farms Rocky Ford melons. Thank you for spending your hard-earned money to support local family farms. 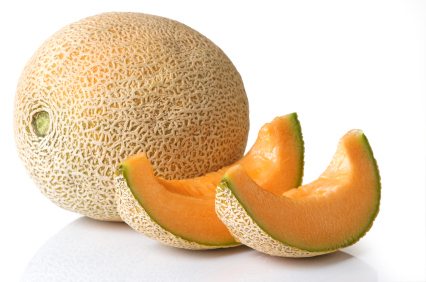 We love growing those melons as much as you love eating them.